You are either a big fan of the Harley-Davidson brand or you aren’t, there is just no sitting on the fence where this iconic American brand is concerned but, whatever your preference with regards to your choice of motorcycles or lifestyle, there is no denying that when Harley Davidson does something, they don’t mess around and they do it big. When it comes to promoting a lifestyle and getting new bums on seats, Harley-Davidson is right on the money every single time. 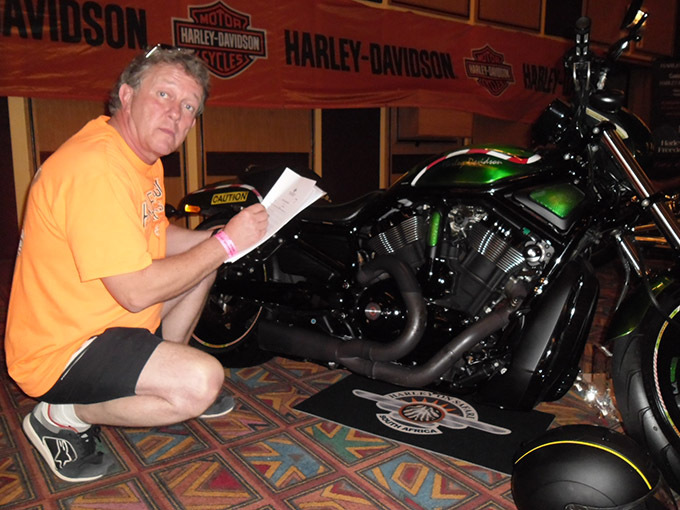 In celebration of the 30th Anniversary of the Harley Owners Group, HOG members from both South Africa and from as far abroad as Israel, America, Germany, Dubai and Dohar converged on the legendary Sun City resort for a fun-filled and action-packed weekend. 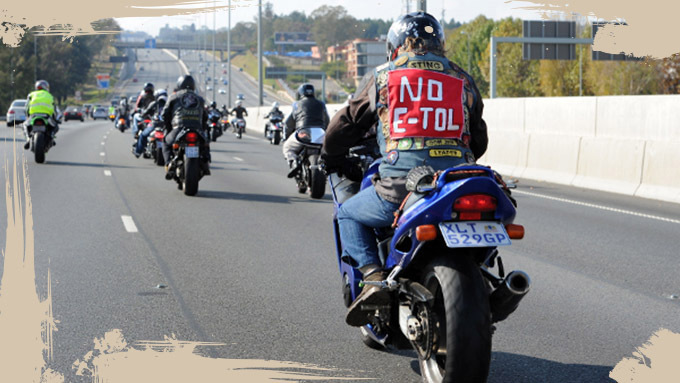 To start the celebrations, around 150 bikes embarked on the Thunder Parade mass ride from the Pretoria Dealership in true Harley Davidson style, heading for one of South Africa’s premium resorts. 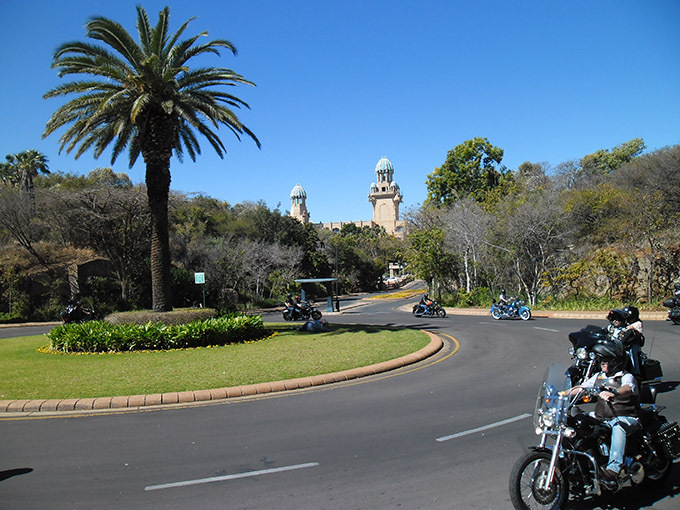 To cater for everybody, various packages were arranged with the resort to accommodate all HOG members’ pockets and all four of the hotels which are the Palace, Cascades, Sun City Hotel and the Cabanas, were filled with Harley Davidson families. And I do say families because, in true HOG spirit, the entire family is welcome to attend. After everyone was settled in their various accommodations the entertainment began, and the entire weekend was jam-packed with things to do. In fact, it was so busy that I needed a weekend after the weekend if you know what I mean? Thursday’s activities kicked off with a sizzling Buddha Bar Party in the Hall of Treasures with top South African DJs providing the music to keep the party going. Unfortunately we only arrived on the Friday afternoon, so missed this one, but judging from the sore heads the following day, fun was had by all. Another thing that HOG members are renowned for is their charity work and Friday saw various charity outrides taking place to assist with numerous projects and raise funds in the local community around Sun City. The evening was spent at the Valley of the Waves where we had a fantastic beach party and were entertained by top South African All Girl Band, The Blackbyrds, performing together with the infamous Scottish Band, The Bogus Brothers. Up early for Saturday’s line-up which included the Harley-Davidson® Experience Truck which offers demo rides so that non-Harley riders can experience the exhilaration of riding a Harley-Davidson without the worry of having their bike licenses (only available on the Jumpstart® facility) and the first ever flag parade in South Africa. 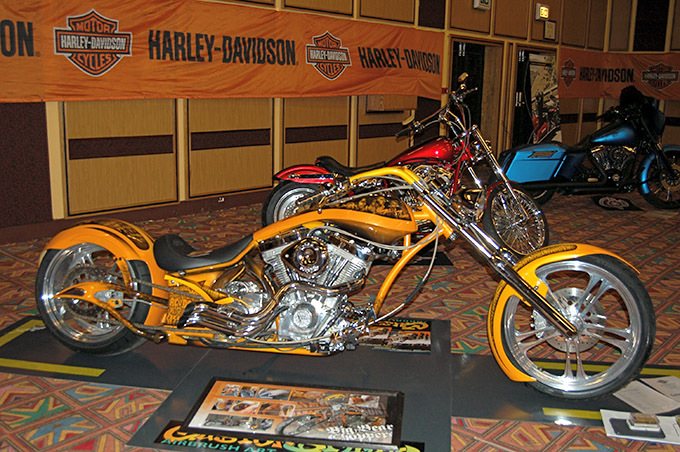 HOG members who wanted to do something different for the day, hit a few balls around on the renowned Gary Player Golf Course, hung around at the pools or went on game drives and those in a competitive spirit entered their bikes into the Custom Bike Show where some great cash prizes were up for grabs. The winners in the various categories were as follows: Free Style Custom, Leonard Myburg (first) and Bob Bartholomew (second); H-D Big Twin, Faan du Toit (first) and Dave Kriel (second); H-D Sportster, Johan Botha; Modified Harley-Davidson, Peter Schmitt (first) and Brian Wood (second); Lady of Harley Big Twin, Bettie Kloppers (first) and Caroline Farmer (second); Trike, Faan Botha (first) and Don Conceicao (second) and Antique, Martin Smith (first) and Phill Beckett (second). But the highlight of the evening was a live performance in the Superbowl by the legendary Mike and the Mechanics. M-Net Cares, who proudly sponsored with Sun International and Harley on Safari, brought the band out to mark this special occasion and we all rocked the night away dancing to hit singles like “The living years”, "Silent Running (On Dangerous Ground)", "All I Need Is a Miracle" and "Word of Mouth"
Sunday morning saw an early rise for all which was followed by another sumptuous breakfast and then the various groups said their goodbyes and departed for the ride/drive home. Harley on Safari was a wonderful weekend with great entertainment and great company. We will definitely be back in five years time when the next event is hosted. Remember, postal summonses are not legal documents and you need not react to them. I think, and I am sure that many of you are the same, that the tolls are a disgrace, both the extortionate toll fees themselves and also the widely published fact that we are expected to pay up to R18 BILLION over the next 10 years just to collect the toll fees. I wanted to share the clarity of thought in this mail and agree that I will not be installing anything on my car. They are not going to have easy access to my bank account, they say they want a debit order - forget it. Send me a bill (by registered mail) every time - and I will pay it just as fast as I pay the speeding fines that arrive by normal post (which I also ignore). Together we can make this whole thing fail - as it should. Let the toll gates stay there, not working, as monuments to people power. Let's call this the start of the SA Awakening, look what the normal people are achieving in North Africa with the Arab Awakening. I hope this goes around at least a billion times. People should not install the transponders but still use the highways and force the government to issue accounts and summonses to all motorists until such time they drop the prices. The government will be forced to send out millions of accounts every month and they don't have the manpower to do it. This is the best and easiest way to boycott the system. What is the government going to do about motorists from other neighboring countries that don't have these transponders? South Africans are too complacent and its time we fight back. WE have paid for these roads. Circulate this to all your friends!!!!!!!! Has anyone thought just how much tax we are already paying? b. 14% on everything you buy (bar fresh produce) and services rendered. d. Tax on the fuel you put in your car to run it. Bully to try and pacify me with the idea that I can claim it back from my income tax!!! I have to fork out the money first. Going on holiday to DBN? Remember to save up your R1000.00 for tolling. To say the least - For every R10.00 you earn, the government is already taking approx R6.00 and still they want more. Are you happy with the R4.00 you are getting? all the money going to? It is definitely not being spent on what it should be - our hospitals are in a state of disrepair, our schools in shambles, our roads full of potholes, our water contaminated, sewers not working, left in the dark because Eskom failed to do their upgrades, the poor are poorer still, municipalities on the brink of collapse, and so the list goes on. Heard about the youth day celebration that cost R100 million? Mmmm... did you pay for it? Oh yes sir/madam you did! R100 million that could have paid for a couple of things our country needed more. The next time you hear an SA politician use the word 'billion'in a casual manner, think about whether you wanted the 'politicians' spending YOUR tax money. B.. A billion minutes ago Jesus was born in Bethlehem. C. A billion Rand ago was only 27 hours and 12 minutes at the rate our SA government is squandering it. And our nation was one of the most prosperous in Africa. INTO THE GROUND - on YOUR and MY 'billions'!!! We hope this goes around at least a billion times.